When you’re hiring a new member of your customer service team, there are plenty of personality traits that may be important, but perhaps nothing is as vital as their ability to learn quickly. The faster they can understand your products and services and what’s most likely to go awry, the faster they’ll be able to help customers when they reach out. This is the exact same reason why AI is transforming customer service. Technologies such as Salesforce Einstein, when integrated into Service Cloud, allow the system to learn even more quickly than an agent can, by pulling from diverse sources of data and finding useful insights that can accelerate positive outcomes for customers. Agents can still be a vital part of this process, particularly where a human touch is most needed or appreciated, and AI can allow them to boost their productivity, efficiency and impact. Still skeptical? That’s okay — most businesses can only get on board with a strategy if they have an effective way to measure their results. In customer service, there are three common ways to do this: customer satisfaction scores, or CSAT, Net Promoter Scores, or Customer Effort Scores. In the following three-part series of blog posts we’re going to explore how AI could improve the scores across each of these metrics by looking at some of the ways the technology could contribute to the service experience. First up: CSAT. Usually by the end of an interaction with a contact centre or other touchpoint, a service agent will ask the customer to offer a quick evaluation of how the experience played out. Your CSAT score is calculated by the total or average of customers who answer the question. Of course, it also requires customers to answer honestly, but the higher the result, the better indicator you’re creating a strong bond with your target audience. Though CSAT is a tried-and-true approach for many organizations’ service teams, it has its limitations. One problem is that the feedback may lack a certain degree of context, especially when all the responses are added up together. What if the service experience involved a relatively easy product versus a more complex one, where resolving problems takes longer? What if the agent in question was fairly new versus a highly experienced expert? CSAT scores that mix everything together as though all service interactions are the same will never provide the clearest possible picture. The other main criticism of CSAT is that the score doesn’t necessarily cover the customer’s overall relationship to a brand. They may love how your products and services work, for instance, but not how long it takes the to ship. They may have made one purchase they’re happy with and it will keep them loyal but offer negative CSAT feedback related on an isolated incident involving a different product. More Ways To Ask About CSAT: By the time they’ve finished up a call with an agent, customers may not feel like rating their experience. AI, however, can synthesize and gain a deeper understanding of feedback that comes through many other channels and touchpoints. In some cases CSAT questions might be asked a few hours or even the next day through a text message, for example. In other cases it might be automated through a social media service. More Specific CSAT Questions To Ask: Agents can’t be expected to tweak what kind of information they solicit for each interaction, but AI technology is limitless in its ability to customize based on what’s important. Instead of “How would you rate your experience with us today,” AI could look under the hood at the kinds of details that matter most to a specific customer. You might want CSAT ratings based on the time it took to resolve the issue, for instance, or maybe on the level of advice that allowed them to take more of a self-service approach. In other cases it might be better to hone in on whether they’re satisfied by the avenues available to initiate a service interaction, or whether they would prefer one over another (sending an e-mail or SMS versus calling into a contact centre, for example). 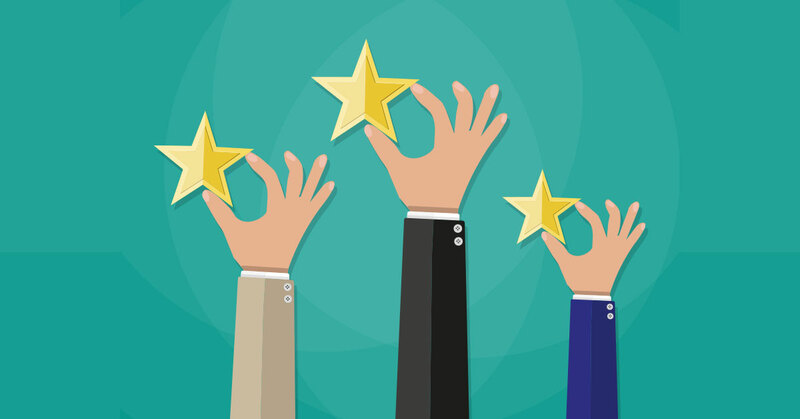 More Ways To Act On CSAT: Traditionally, CSAT scoring has been more of a historical exercise. Once the numbers have been gathered over a month or a quarter, it gets reported back and the business leadership team thinks about how they can make their service operation better. AI, on the one hand, could allow companies to address challenges and opportunities in real time. If a customer says they are “very unsatisfied,” for example, AI technology could recommend the best content or other resources to ensure they don’t run into similar problems again. If they say they’re very satisfied, on the other hand, AI could help agents serve up the more appropriate cross-sell or upsell opportunities based on the CRM that would best complement their existing purchases. If they’re neutral, AI could be used to automatically determine the best incentives -- perhaps a discount or promo code towards their next purchase -- that leaves them feeling a little warmer about the experience they’ve just had. Instead of just an overall number, AI means companies can make customer satisfaction more of an ongoing strategy and empower their agents to contribute to the bigger picture. Of course, as mentioned earlier, CSAT scores are only one way to look at the results of your customer service capabilities. In our next post, we’ll look at Net Promoter Scores, and what AI can do there.